Racquetball is not a particularly elitist game. Anyone who has access to an indoor court can play it. But you do have to pay court costs. And when you shop for a racquet, you may come across professional models that cost hundreds of dollars. It may look like you have to burn a hole in your pocket to take up the game. When you’re just starting out to play, how do you know that you want to keep playing racquetball? What if you buy a $100 racquet and then find out racquetball is not for you? The good news is that there are cheaper racquets available these days. 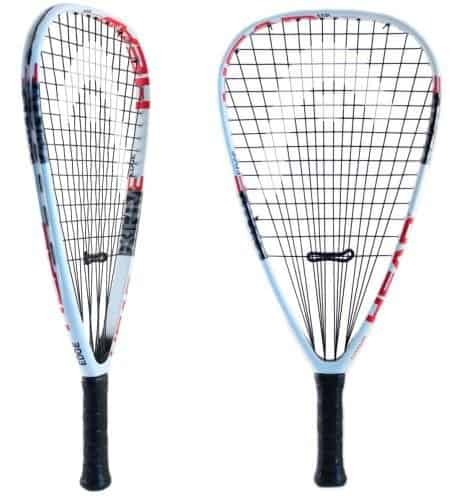 Since it has become popular as a recreational game, many brands manufacturing racquetball gear have worked to come up with racquets that are affordable or inexpensive. Many of them are constructed with some high-end technologies to boost power, feel, control and other elements. 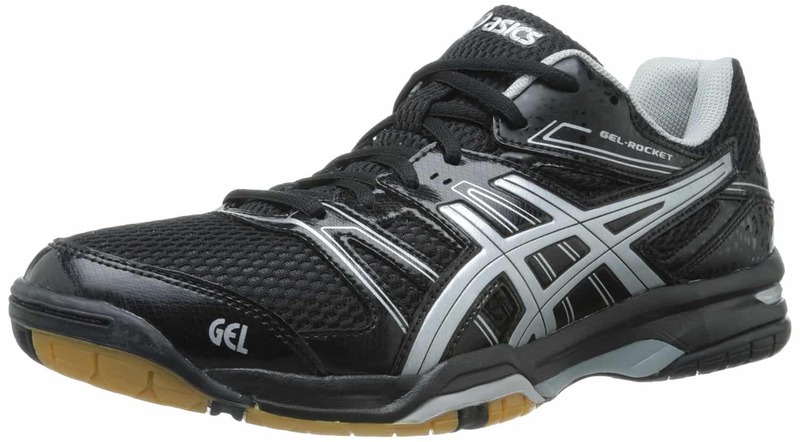 Under $50 budget, these are the best options for racquetball players. Racquets in the past were wooden. They would weigh around 400 grams. But racquetball technology has come a long way since the mid-20th century. The cheaper racquets today are usually made of inexpensive materials like aluminum. Aluminum racquets usually contain alloys and are composite materials used to increase durability and strength while still being light. Aluminum racquets today weigh around 200 grams. In order to be able to withstand heavy hitting, only the highest grade of aluminum is used. Aluminum used for tennis and racquetball racquets should belong to the 5000, 6000 or 7000 grades. Aluminum is usually used for beginner racquets, because of its weight. Many composite materials are also used for lighter, cheaper racquets. These include graphite as the main component along with a variety of other minerals that change the attributes of the material. For instance, adding titanium threads that stretch like a spring between carbon fibers results in good strength and stiffness. Other minerals added to composites include boron nitride ceramic fibers, which make racquets durable, strong, flexible and lightweight, as well as resistant to abrasion. When you’re shopping for a cheap racquet, not just any piece will do. It’s possible to find racquets as low as $20. But not all of them will make your game enjoyable. Some cheap racquets will have terrible vibrations. Others may use substandard strings that break after a few games. Design flaws and heavy frames that are uncomfortable to play with are some of the other issues that you could face with a cheaply made racquet. Always check out what other people are saying about a racquet before you buy. Having said that, there are some good quality cheap racquets out there, with which you can begin to learn racquetball. Here is our list of the top 5 racquetball racquets below $50 budget that gives you everything you need to improve your game. Gearbox is a reputed brand of racquetball gear. The GB-50 is a sub-$40 racquet designed for beginners. It is made of 7000 grade aluminum and weighs a little on the heavier side. 7000 series aluminum alloys are alloyed with zinc, as well as magnesium and copper. The resultant alloy is one of the hardest possible with aluminum. When unstrung, the GB-50 racquet weighs 190 grams. When it is strung the GB-50 weighs 214 grams. The heavier weight will suit beginners because it increases swing weight. The racquet can be made to do all the work for a player who is yet to develop their technique. The grip is a size small, at 3 ⅝ inches. This size gives you a lot of wrist action, making it easier for you to hit powerful shots. What is interesting about the racquet is the hybrid quadraform and teardrop shaped head. This head shape gives you a large sweet spot so you have fewer misshots. The head shape also makes it easier to hit powerful shots. The string pattern on the other hand is designed for control and balance. Gearbox’s Power String Pattern creates a string bed that is particularly suited for thinner gauge string. The racquet comes strung with 16 gauge monofilament, which offers a good balance between durability on the one hand and power and control on the other. Note that thinner the gauge, the less durable the string. The racquet is balanced to be slightly head light. This makes it feel quite light. Beginners and intermediate players will enjoy this racquet to learn or to improve their game on a budget. As long as you don’t develop elbow or wrist issues from using the racquet, you’ll find the GB-50 is an excellent racquet for the price. It will help you deliver powerful shots with a comfortable grip. Wilson is a classic name in racquetball gear. The brand has made several inexpensive racquets that encourage more beginners to join the game. The Striker may be the best of the cheap Wilson racquets that you can buy online. It is designed for the recreational player who is looking for a racquet that will let them play a powerful game without a lot of effort. The features of the racquet that stand out include the V-Matrix frame and cross-sections. The V-Matrix frame has a special geometry that lets you hit powerful shots even when the ball lands off-center on your racquet. The sweet spot is effectively larger. The V-matrix cross-section makes the racquet stiffer, for more power. Wilson is the brand for US Racquetball, so you can trust in the quality of their racquets. At a sub-$30 price, it’s hard to find a racquet that offers the kind of quality offered by the Striker. The aluminum frame makes the Striker stiff and durable. But like most aluminum racquets, the racquet may catch dents if it hits a concrete wall or floor too often. However, it is, in general, a sturdy racquet that will put up with all the abuses of casual play. You’ll find that the Striker is as comfortable to play with as comparable racquets with similar specs but higher prices. 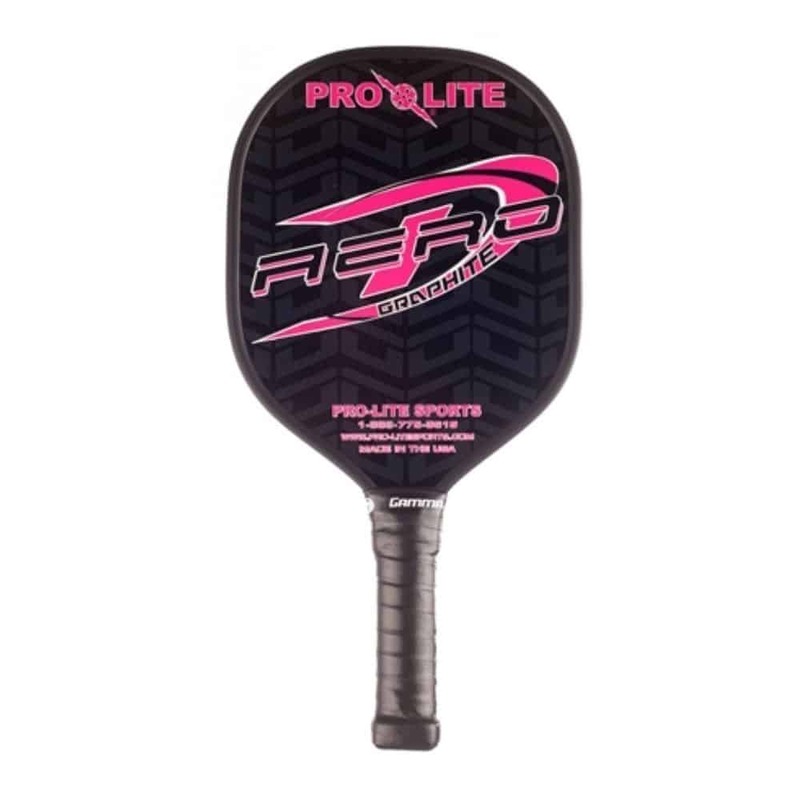 This is one of the best racquets out there for beginners who aren’t sure if they want to make racquetball a long-term and expensive commitment. Overall, you can trust Wilson racquets for quality and the inexpensive Striker is no exception. Its sub-$30 price makes it one of the cheapest racquet on the list. But that doesn’t mean it compromises on quality. Beginners will find the Striker delivers good power and helps them find out the pleasures of playing racquetball. E-Force is yet another well-respected brand of racquetball gear. The Chaos is a classic racquet that was originally known as the Gladiator. 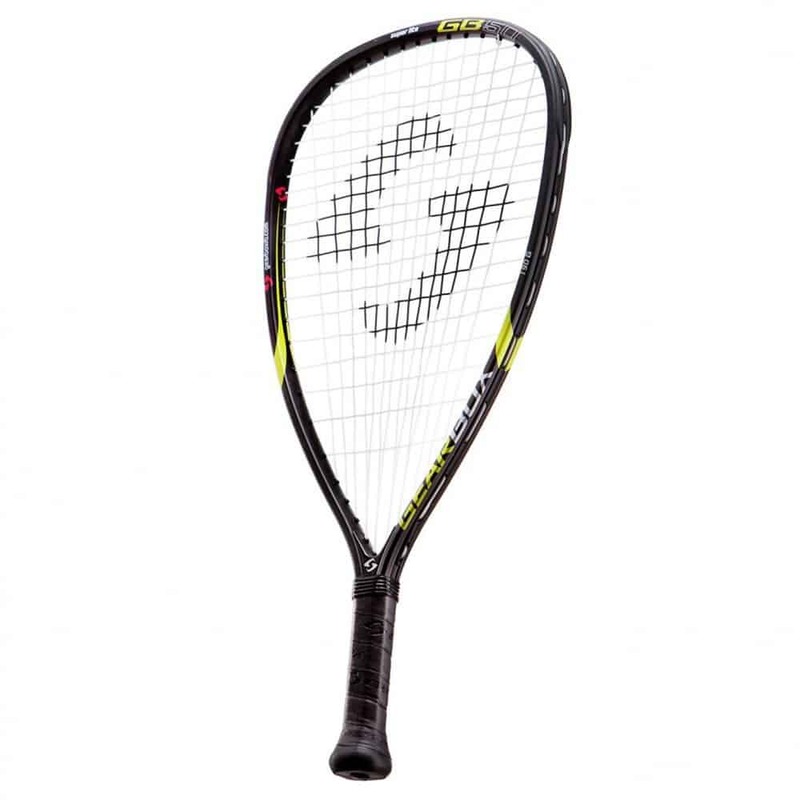 It’s clear from the name that the racquet is designed for power-slamming on the court. It is a good racquet for beginners, but also for intermediate players who enjoy whacking the ball around quite a bit. The Chaos is priced at just a little over $50. There are certain features on the racquet that you will not regret paying those extra dollars for. The longer the main strings, the more power a racquet will have, from the trampoline effect. The Chaos has eight 22 inch main strings that run down from the head of the racquet to the handle. The equal length of the vertical strings ensures that each string responds with a similar elasticity to the ball on impact. What this means is, you have better control over the deflection of the ball on the court. The racquet also features zero Richter tubes. These are tubes hidden in the handle, that help to lower vibrations on impact. The main strings are enclosed in these tubes. The Chaos features 84 inches of these tubes. The benefits of this dampening are that you get a solid racquet head to hit the ball. Plus, the racquet is more stable and doesn’t transfer the impact of the ball to your arms. The main strings skip every two holes. This means, every time the ball hits the racquet, it doesn’t strike two main strings at the same time. The advantage is more power and better response. The Monster String holes anchor both the main and cross strings for a solid string bed that gives you more power. The E-Force Chaos is built for powerful play. If you enjoy slow and powerful returns from the back of the court, then this is a racquet you’ll appreciate. If you prefer to run around the court and want maneuverability, you should look for another racquet. HEAD offers this sub-$50 racquet as a starter pack for beginners. The MX Hurricane comes with protective eyewear and 2 racquetballs. While the price is attractive for the set, you should note that the Hurricane is an attractive racquet in its own right. Weighing 190 grams unstrung, it is a heavyweight built for beginners and intermediate players. It is reasonably lightweight and comfortable to play with, as a beginner. You can rely on the racquet to hit powerful shots for you, so that you don’t lose interest in the game. The aluminum racquet has a large head size of 106 square inches. This gives you quite a lot of surface area to catch the ball as you learn to play. The nylon strings are quite durable and don’t snap after a few games. The quality of the racquet overall is good, as is to be expected from HEAD. Strictly for beginners. If you expect professional quality, you may want to buy a more expensive racquet. The HEAD Hurricane is marketed as a racquet strictly for beginners, and that’s how it should be used. While there are cheaper starter racquets out there, you can rely on this one in terms of quality. Other racquets with comparable specs may not last as long as the Hurricane does. Users have been generally satisfied with the racquet, but it should be treated like a started racquet and not put through the kind of beating that you’d put a high-end graphite racquet. Overall, recommended as a starter racquet. The Wilson Hope is another racquet that deserves a place on this list. It is the cheapest racquet on our list, priced at sub-$25. If you’ve never played racquetball and aren’t sure if it’s a game for you, you can take the Wilson Hope for a test to decide if it’s worth it. There are some features on the racquet that makes it a pleasure to play with. This is important in a cheap racquet, because you don’t want to end up getting discouraged by a poor first experience of racquetball, because your cheap racquet doesn’t respond well to you. The Hope features a V-Matrix beam design. The beam on a racquetball is the material that makes up the head of the frame. The special cross-section of the beam on the Wilson Hope is designed to make the racquet stable and full of power. The stiffer the beam, the more power the racquet can generate. The racquet also features a small 3 ⅝ inch grip that gives you a lot of wrist flick for more power. The racquet also comes with a dampener to lower vibrations. If you buy this racquet, you’ll have the satisfaction of knowing that with your purchase Wilson will contribute a portion of the sales to BCRF (Breast Cancer Research Foundation). The Hope has a light but solid construction, and the pink design is attractive. It’s a great beginner racquet with which you also donate for a special cause. So now you can buy any of these best racquetball racquets under $50 and can improve your game without spending much money.